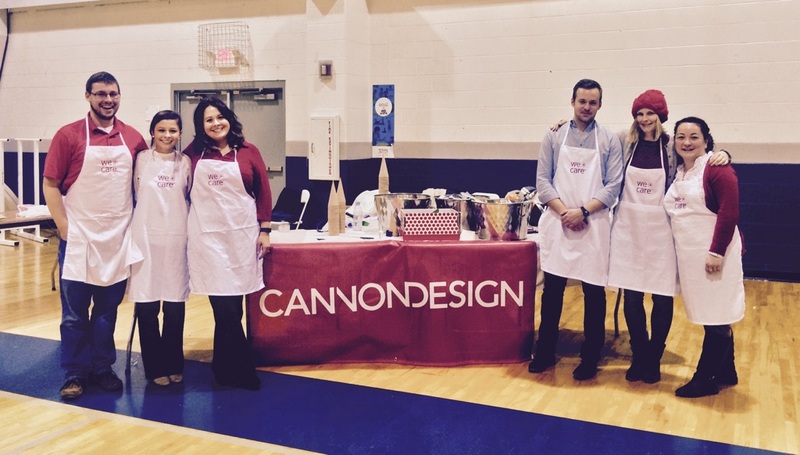 CannonDesigners in St. Louis recently participated for the first time in the annual “We Care” event. This charitable event, co-hosted by international design firm Herman Miller and the Boys & Girls Clubs of America, provides children who may not otherwise be able to afford gifts for friends and family the opportunity to craft gifts for their loved ones. Each year Herman Miller reaches out to local design teams and asks them to come up with a craft that can be made by children ages 5-13. In the spirit of the holidays, we came up with the idea to make colorful Christmas trees out of cardboard and fabric. 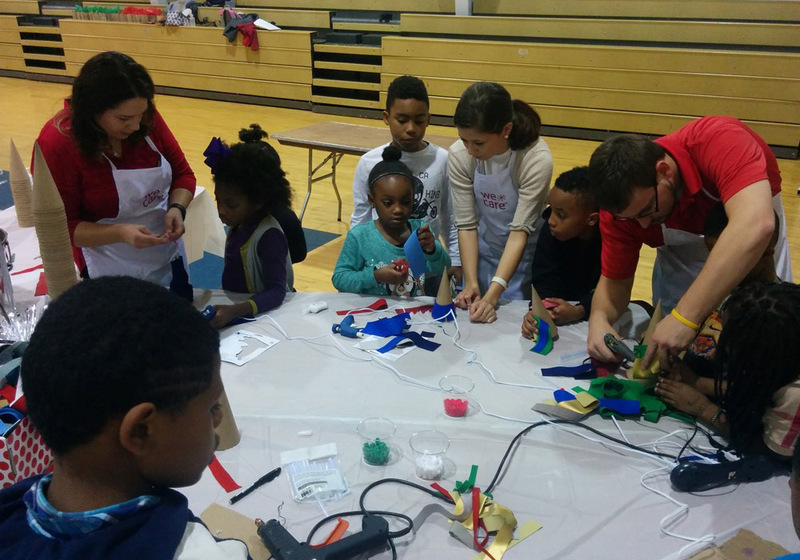 We were one of ten firms that participated and 500 children attended the event. The CannonDesign craft table was a popular one. The Christmas tree craft offered a lot of flexibility and gave the kids free creative reign. They designed, and the CannonDesigners helped them put the trees together. Our St. Louis team plans to participate in the “We Care” event again next year.